something deep and witty: I laughed so hard I couldn't even stop. I laughed so hard I couldn't even stop. 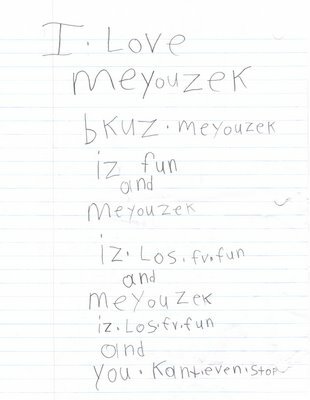 Chloe brought this paper home from school yesterday. 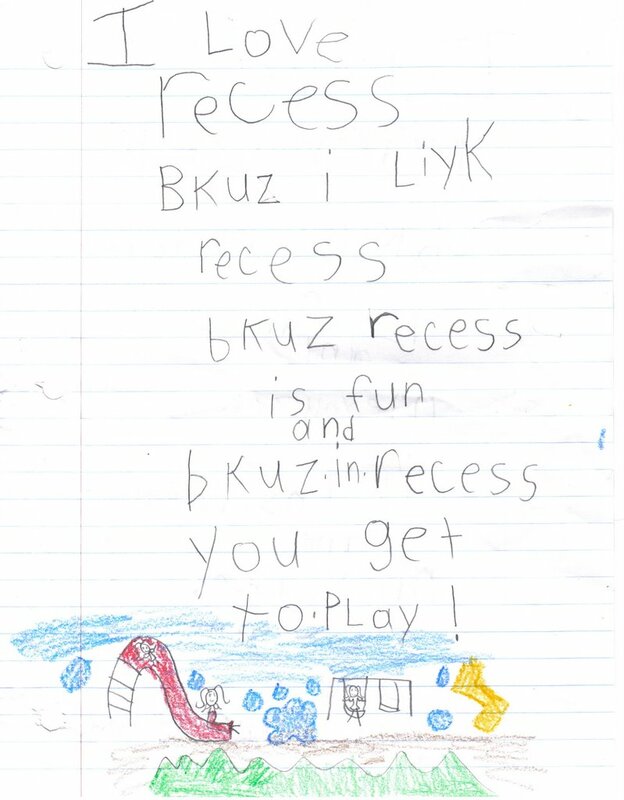 Her teacher had the class write some sentences without any help spelling the words. I thought the first page was pretty cute, and I liked the picture. The yellow is lightning. 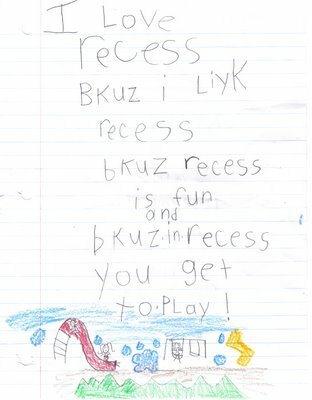 Not so sure about the safety repercussions of having outside recess in the middle of a lightning storm, but, there you go. That's a keeper.....funny. Thanks for the laugh! 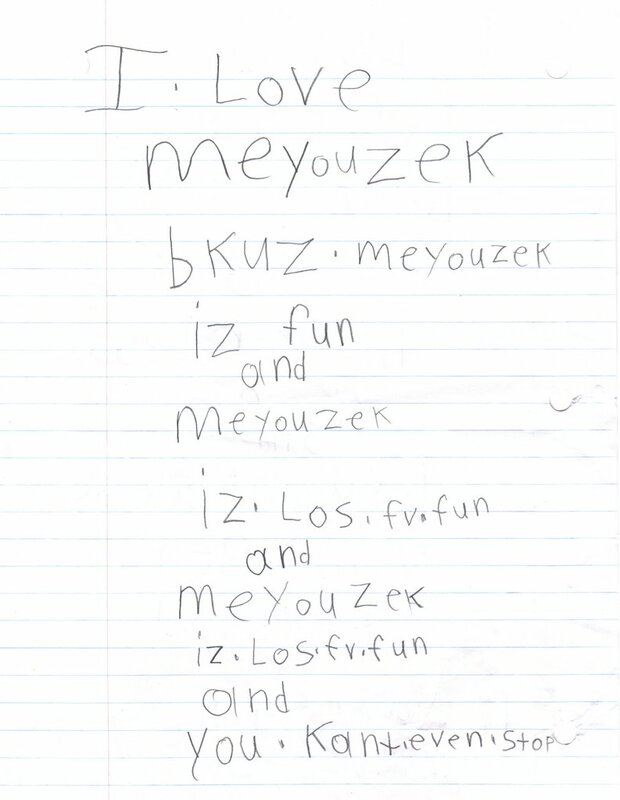 I love meyouzek too! "fv" for "of" is my favorite. Of course it should have a "V"! My favorite thing was "you.kant.even.stop."